2012 snuck up fast didn't it? I'm excited for this year what's in store for my personal life but also Battle of the Bites. I have been mentally building up goals for both, mostly food related, and thought I would share! Give you one or two episodes of Battle of the Bites TV a month. Share travel adventures (this month Paris, next month, who knows). Review more great eats in this city and truly search for the best bites (best burger, best taco, best cocktail, I'm on it). Keep introducing you to my hungry sidekicks. 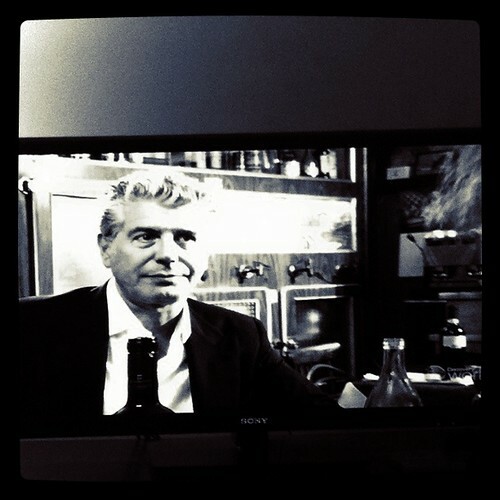 Keep learning from my mentor, Anthony Bourdain. Keep it Fresh - on my sister blog with my cousin Ayah - Healthy, Tasty, Cheap - we are embracing a month of fresh food. After an indulgent holiday we're hitting the veggies hard and have lots of recipes to share. I won Meghan Telpner's 8 days to a fresh start 'fab uplift detox program' from Dani at Body By Nature and since I know I'll be drinking wine and eating steak frites in France as soon as it's done, I'm looking forward to a little reboot and sharing how it goes with you. Do you have any food related goals this year?